Down the tube it goes, where the marble stops, nobody knows. 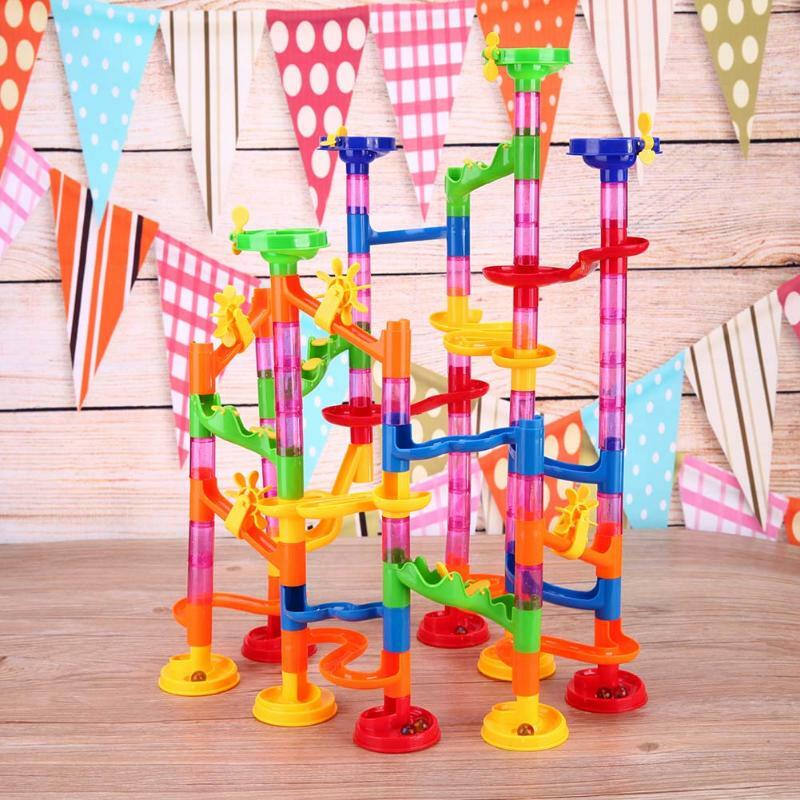 This 105 Piece Marble Run Toy contains many colorful loops, twists and turns to grab your kids attention for hours of fun. It include many marbles to load at one time. Kids can learn valuable skills while they play. For ages 3 year and up.